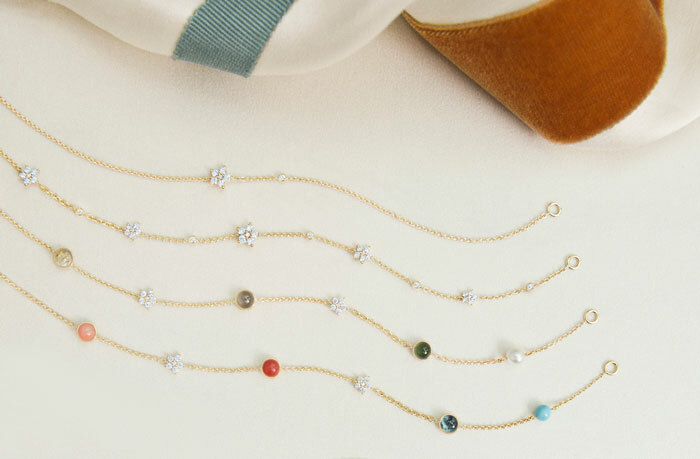 Possibly the perfect last-minute gift idea for her? Inspired by the 1930s-1940s travelling circus, Ole Lynggaard‘s latest collection has a sophisticated playfulness and a timeless style. The exquisite Magic Circus collection is joyful, and will liven up any outfit. It consists of a long, slender collier, lovely earring to be worn single or paired and delicate bracelets. 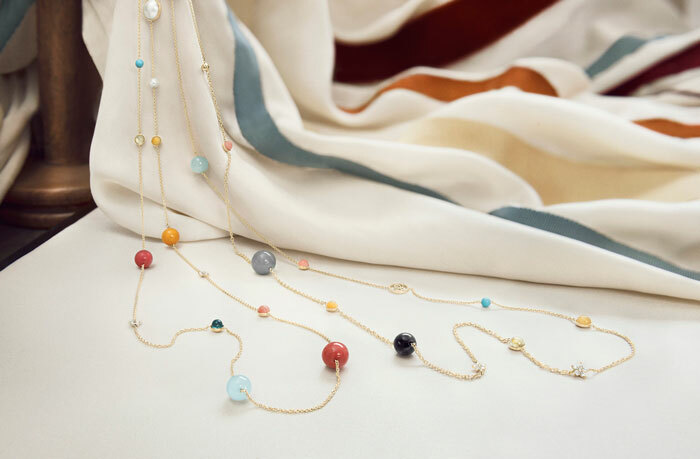 All pieces are handcrafted in 18 karat gold chains of varying thickness adorned with twinkling Shooting Stars, cocky pearls and vivid vintage-coloured gemstones: red and rose coral, rutile quartz, amber, serpentine, turquoise and grey moonstone – All reclaimed from caves and mountains across the globe. 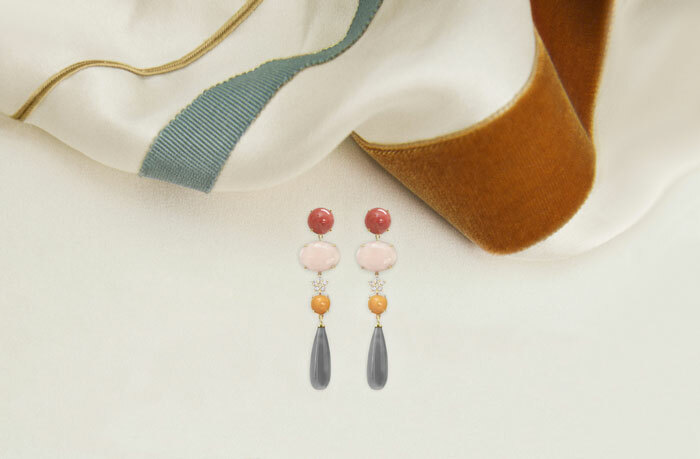 They have the same cut and may share a shade or a nuance, but each gemstone is absolutely one of a kind, making every Magic Circus Collection style as unique as the woman wearing it. Established in 1963 by goldsmith Ole Lynggaard, the family-run business was since appointed Purveyor to the Danish Royal Court – Quite an achievement and honour! 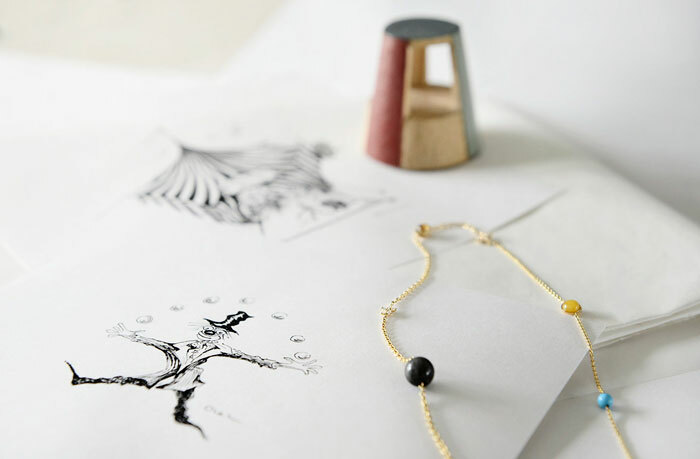 They make handcrafted jewelry pieces that have gained a solid and well-established reputation as a luxury brand throughout Scandinavia and beyond.